Perfectly positioned opposite a picturesque reserve that hosts both tennis & lawn bowling clubs, this 2 bedroom unit is in a well maintained complex and will be sure to impress the savvy investor. 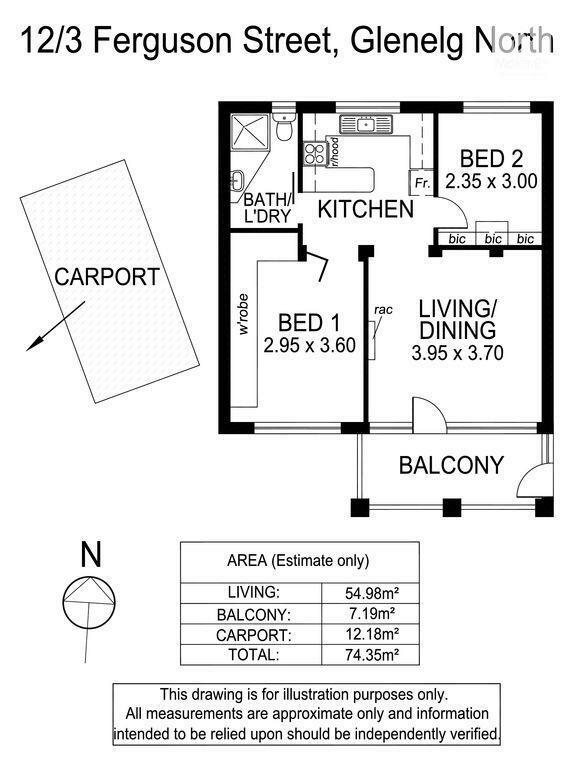 Currently tenanted until October 2019 at $250.00 per week, this unit is in the 2nd year of tenancy agreement with the same tenant. The current tenant is very neat, clean, tidy and reliable. The unit itself has two bedrooms, both with built in robes and leafy tree views, the kitchen is U-shaped with loads of storage and bench space plus the ever popular gas cooktop. Flooring is easy to clean with a mix of polished floorboards, floating floors and tiles to the wet areas. Creature comfort is further enhanced by the split system reverse cycle air conditioner. Well-presented and maintained, this unit still has scope for future upgrades and improvements that could potentially increase the yield and return. Location is just about perfect, being close to, but not on, Anzac Highway this provides a transit corridor to the City via car or public transport. Glenelg shopping, beaches, restaurants and nightlife are within walking or bike distance and the Airport or Harbour Town are only a 10 minute drive.